Do you have hundreds of obsolete and useless computers that you don’t know what to do about? Worry no more because Scrap Metal Sydney can take care of it for you. These electronic devices do not need to take up valuable space anymore. One of our services is computer recycling in Sydney for residential and commercial clients. Electronic devices particularly old computers are made of valuable materials such as metals, plastics, glass and other salvageable resources that can be harvested as secondary raw materials for other products. 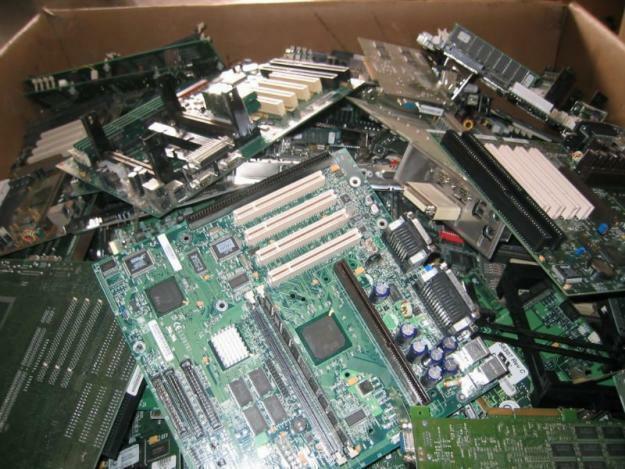 Recycling electronics is an excellent solution that translates to money. Best of all, you are helping the environment by conserving resources and avoiding landfills. When it comes to recycling and collection services, Scrap Metal Sydney has been recognized as one of the most reliable companies in the country offering free pick-up service and on-site payment so long as the minimum amount of scraps are met. We recycle hundreds of thousands of computers every year harvesting thousands of pounds of copper, silver, gold and palladium among others. Each hardware and specific computer parts are harvested and separated accordingly then processed to repurpose the parts for other uses. In the past years, computer recycling in Sydney has not always been easy which is why some companies prefer to discard scraps through landfills. But today, your company can do something good for your business and the environment without going through so much hassle. With Scrap Metal Sydney, all you have to do is call us, get a quote and we’ll get our team going to pick up your computer units then recycle them for you. Depending on the amount of scraps we receive, we will pay you according to the current competitive market price of specific metals. Studies have been conducted estimating that around 500 million computers will become obsolete in the coming years. In line with this, there are emerging regulations that prohibit dumping of hazardous and electronic materials into landfills. If companies do not recycle there might be some liabilities to face. As such, we are offering companies and business in Sydney a better alternative to throw away their old computers. Even residential clients are welcome to work with us. Ultimately, our goal is to provide convenience which means less effort from our clients as much as possible. With our trained staff and crews, the process will be efficient and fast. We make computer recycling in Sydney hassle-free and energy-efficient.